today is Valentine’s Day and many of you are surely celebrating it! On this special day we would like to introduce our brand new contest: Bouquet of the Year 2010. This is a new on line contest to choose the best bouquet of the wedding we had on our Lakes region on 2010. We selected 33 bridal bouquets….they are all wonderful! Would you like to be the one to choose the best one with us? Our selection is has been made among all bridal bouquets of the wedding Italian Lakes Wedding Team planned in 2010 and presented on our blog. For Valentine’s Day lovers and brides and grooms to be on Italian Lakes it could be a great opportunity to get inspiration for your wedding flowers! Which is your favorite? You can choose up to 3 bouquets checking the box side of the name of matching bride and groom’ s names. The contest will end in 3 weeks at 0.00 of 7 March 2011. 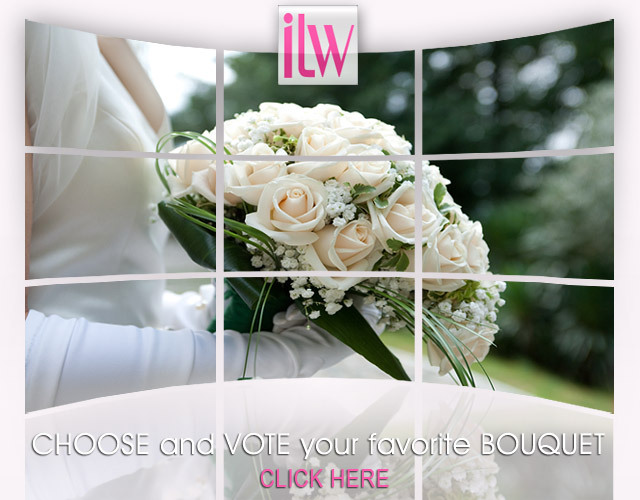 Thanks for vote your favorite bouquet! I love the simplicity of this one…very nice!